Yesterday I skipped a couple sample sales and went thrifting instead. My son shot up a couple inches this summer and outgrew all of his dressier clothing. Usually that's not a problem but for some reason I skipped his current size when buying ahead. So for $12.50 he has a new suit, a pair of dress pants, and a dress shirt. For myself, I grabbed this Josie Maran Whipped Argan Oil Body Cleansing Butter for $4. When I opened the lid to test it I saw it was sealed - and then I knew I had to have it. Typically, thanks to my couponing, I don't spend $4 on a body wash but every so often I splurge on a premium product. I found it on QVC.com in a 2 piece set for $47 so I'm thinking I made the right call here. I'm a sucker for vintage dresses and coats and I tried on a stack of them today. Today's winner was this Oleg Cassini sequin number - and the funny thing is I already own this exact dress in green LOL. I was on the fence but it was half-off today so for $12.50 I couldn't resist. 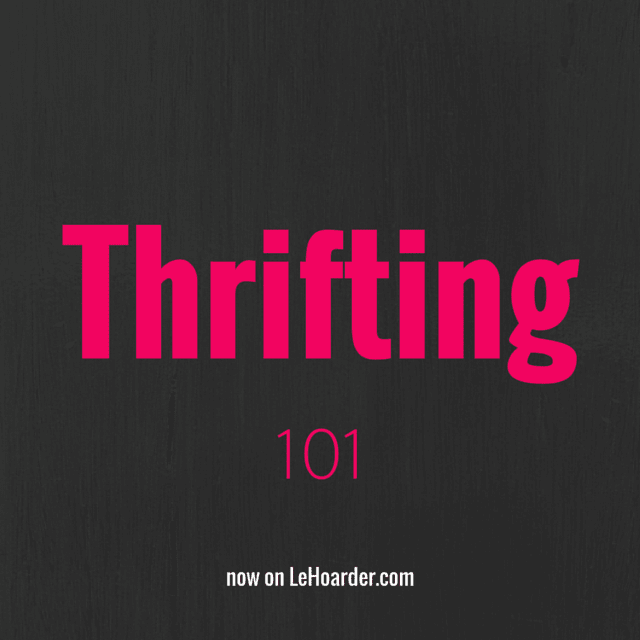 With thrifting it's easy to take home piles of crap you just don't need. Do I need another sequin dress? Probably not...and it could easily end up hanging in my downstairs closet right next to my other unworn sequin dress. However, all I need is one event and voila - I'm all set! And I just saved myself $200+ and loads of time hunting for the perfect evening dress because I already own it. After 20+ years of thrift shopping I'm awfully proud of my thrift-editing skills. 1-Do you have a favorite store or type of store/function (swap meet, flea market, etc.) that you thrift at? Why? I love thrift stores. I don't think I've ever attended a swap meet and I haven't been to a flea market in years. For me it's the thrill of the hunt. I'll try any thrift store once but I'm all about efficiency. I tend to only go to stores that I know will have a big pay-off. When I see a store gets a new manager and prices go up or the designer goods tend to disappear, then I move on. My number one tip is to look for the stores in the bad neighborhoods near the good neighborhoods. Not sure why, but that's what's always worked for me. I find that in the more affluent areas it's either trash or overpriced decent stuff. I prefer high-end goods so I spend a lot of time in questionable areas looking for bargains. 2-What are the best items to find at a thrift store? Are there any items that you would NOT recommend purchasing secondhand? Honestly, you can find almost everything at a thrift store. I pick up furniture, toys, clothing, household goods, beauty products...you name it and I've probably thrifted it. I'm a DIY girl and pretty handy so I'm not afraid of cleaning and fixing something slightly imperfect. Goodwill gets lots of stuff from Target - so if I missed something on clearance at Target, it will probably show up there a few weeks later. My SIL would sooner light herself on fire then walk into a thrift store. She's terrified of bedbugs and germs. Personally I've never had a problem with either. Then again she won't buy anything on sale either because she believes that there is something wrong with it if it got marked down LOL. Thrifting isn't for everyone. Like all bargain hunting, it takes a lot of time and patience. 3-Any suggestions for cleaning/fixing used items? Clothing is easy - you wash it or dry clean it. It helps if you're handy with a needle and thread or have a tailor on speed dial. It helps to know what's fixable. A moth eaten coat is beyond repair but a missing button or undone hem is an quick fix. Shoes and bags are a little trickier. Sneakers can be thrown in the wash but everything else you have to Lysol or spot clean. I have a whole arsenal of shoe products - sometimes a little polish and those Pradas look brand new. I always have a plan if I'm hitting a new store. I spend a few minutes on mapquest charting out the fastest route instead of just hopping in the car and Waze-ing it. I look for other possible locations to try in case any one store is a bust. Always do your research. Find out which days have discounts. At Salvation Army almost everything in the store is half-off on Wednesday. I also tend to avoid stores on Senior discount days because some nursing homes bus in residents and it gets CRAZY. Ideally you want to be there in the morning when they open their doors - it tends to be less crowded. If you're a regular try to figure out when/where they put out new merchandise - most of the good stuff barely has time to hit the floor before some savvy shopper snaps it up. Be patient. Don't expect to walk out with a Chanel bag after 5 minutes the first time you thrift. But the more you thrift, the more likely you will strike gold. And no, I still haven't found my Chanel or Hermes bag yet. Still looking. Take your time. Walking up and down those aisles is literally a walk down memory lane. I always get a kick out of seeing something I had 20 years ago or the same dress my daughter wore as a baby. You're gonna need lots of time to dig. You don't want to miss that designer dress shoved in between those two H&M dresses. Train your eye. For the days you don't have time to look at every single item, just walk through the isles and look for designer fabrics or patterns. At this point I can spot something special from across the room. Know your brands. I spend lots of time in higher end stores (and online) learning the names of obscure fashion brands. The stores know Gucci so they're gonna jack up the price but they don't know labels like Reiss, Rick Owens, or Band of Outsiders. I picked up a LK Bennett dress last year for $2.50 - it somehow had made it to 75%. I would have grabbed it at $10. Don't buy for just the label. A rookie mistake is to take everything with a designer tag. If it doesn't fit or you can't rework it, it's not a bargain. Now I look for pieces that still look current, even if they are 10 years old. You can always google or check eBay to see what similar pieces are selling for. Try it on. It's the first thing I tell all my personal shopping clients - you never know. Most stuff in thrift stores doesn't exactly have hanger appeal. Will I wear this or can I sell it? I have so much that I try to only buy something that will elevate my wardrobe. I don't need just another LBD but a vintage Bill Blass sheath will always be a welcome addition. I am a vintage designer whore. I try to buy things I need (as in missing from my closet) or something with resale value should I decide to part with it. What's it worth to you. Sometimes I find something overpriced and I ask myself what it's worth to me. In the metropolitan areas thrift stores charge a lot more than $1.99 a piece. I always chuckle when I overhear the crazies muttering to themselves about how expensive things are. The other day I had to convince a woman to take a beautiful Soia & Kyo peacoat for just $24.99. She thought it was overpriced but I told that her that for less than $25 she was getting a $400+ coat that looked amazing on her. If something seems expensive for thrift, ask yourself what you would pay for that item in a discount store. You can't even get a designer coat in Marshalls/TJ Maxx for that little. Don't beat a dead horse. If prices are up or you haven't found anything good at that location in a while then it's time to find a new haunt. It's also easy to spend all day waiting for something to come out of the back room. Try to give yourself a time limit for how long you'll spend in a store so you won't kill your day. Some people thrift for necessity, some people thrift for profit, some people thrift because it's eco-friendly, but I thrift because I'm a girl who loves to shop. I can get my kicks for $ instead of $$$. There is nothing for gratifying that walking out the door in a killer designer outfit that cost you just ten bucks. I love thrifting but live in such a rural area that the finds are few and far between, and I mostly don't bother to go anymore. Great finds for you today, and really good tips! Thanks! Sometime you gotta travel a little for the good stuff. It's those rural areas that have those amazing yard sales. My friend lives in the middle of nowhere and always gets stuff for a quarter. 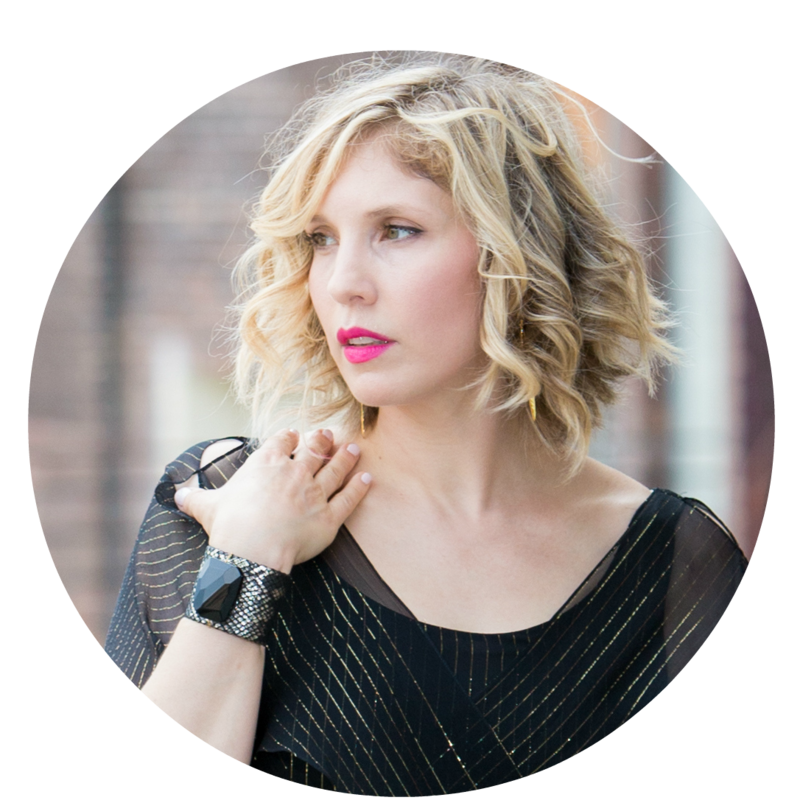 I have studied the brand lists for Anthro, Nordstrom, Neiman Marcus etc. It had helped me in my quest or thrift. Smart! Always do your research! Such a great post! I wish I lived closer to more thrift stores, but thankfully our Goodwill isn't bad for a small town.